Yesterday a friend of mine brought in a few packs of May 40's new 28mm Dutch Marines. He picked them up for me at a local gameshow. 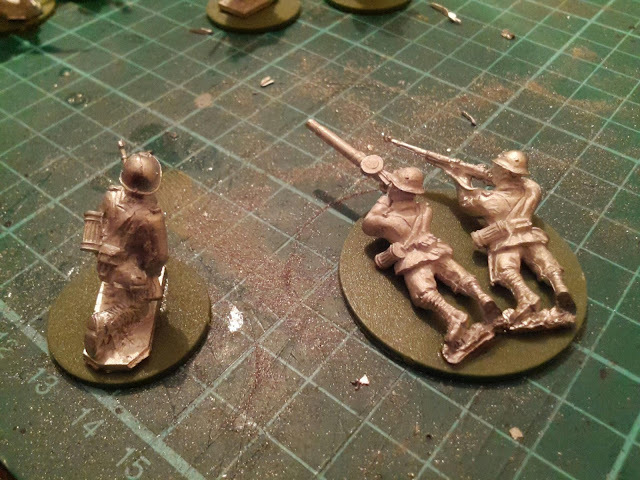 I got a full squad of Marines(12), a set of three marine officers and a small separate three man Lewis team, aptly named the Rotterdam Team, for their poses where inspired by a locally famous painting of the Marines defending Rotterdam against the Germans. Even though I have slightly to many projects going at the moment, I couldn't resist opening theblacks up. The Marine squad contains a mix of 12 different Marines in battledress and in long coats. 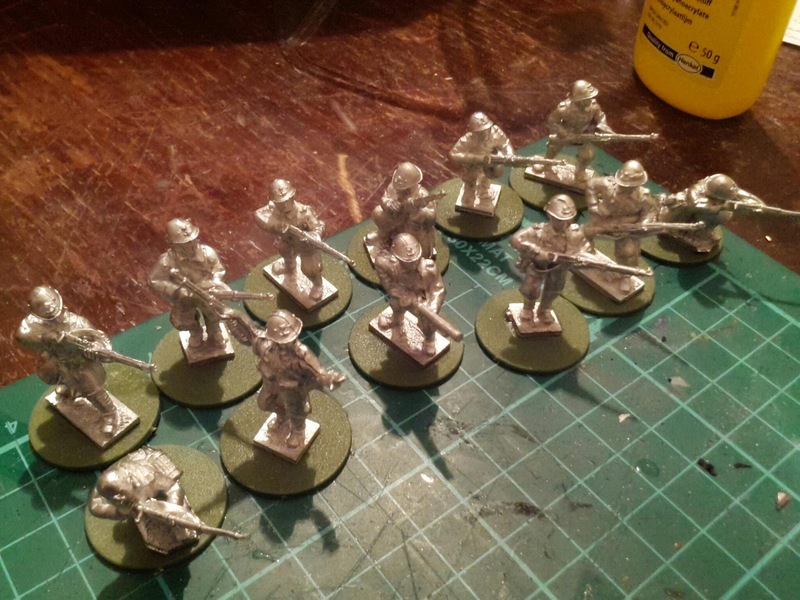 One Lewis Gunner and a sergeant are included. The quality of the sculpts is very fine, and only a little flash. The detailing is excellent, the rifles have clearly sculpted bolts and even the anchors on the helmets are clearly visible. The quality of my tablet's camera don't do the models justice. The size of the models is just a fraction larger than the warlord games plastics (even back than the Dutchie's were taller☺), but right on par with most metal ww2 ranges, and they blend in nicely on the battlefield with my BTD early war Germans and fallschirmjager. Because of May 40's attention to detail there really is only one flaw to find, and that is more of a personal taste: the helmets on a few of the models seem to sit somewhat high on their heads, which can look a bit funny to me at times. 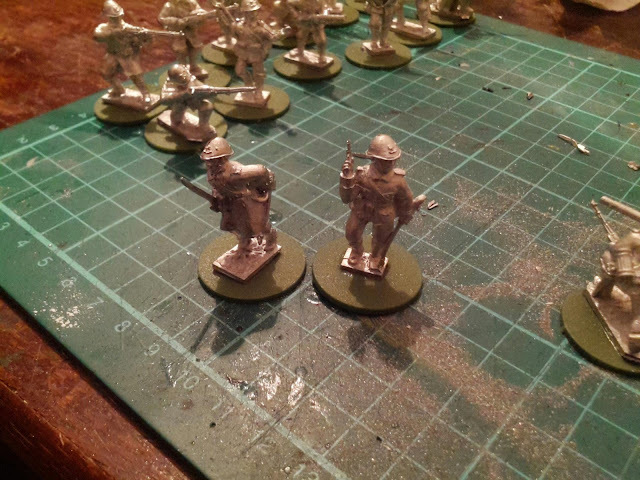 I'm really looking forward to painting these miniatures up, and fielding them in a few Rotterdam skirmishes against some of my disembarking German luftlande division.